ThemeForest is -rightfully- considered to be the BEST marketplace for WordPress theme, hundreds of WP themes are already published while 2-3 new WP themes are presented daily. 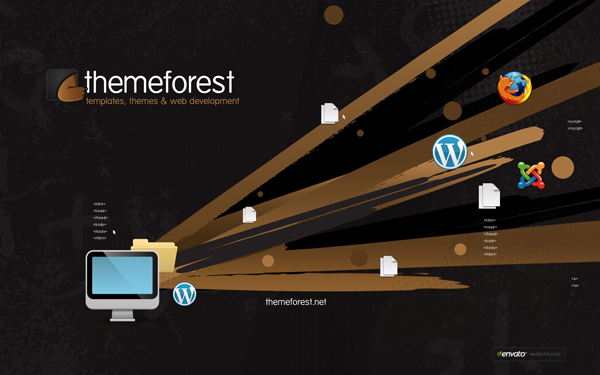 I thought it would be a good idea idea to review the TOP 10 WordPress themes as ranked by the ThemeForest service. Built with HTML5 and CSS3, the Avada theme is a fully responsive design that will look as great on a corporate website as it would on any personal blog. Made by ThemeFusion, Avada is compatible with all major browsers and is easy to install and ready use straight out of the box. 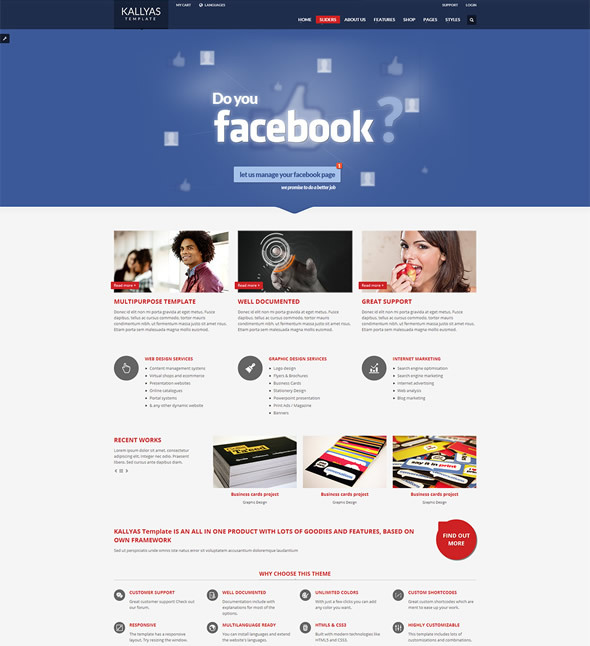 If you are looking for a complete multi-purpose theme for your website, Avada is a great choice. For a WordPress Theme that works across all major browsers and devices, Kallyas is the full package. As far as ultra-premium themes go, Kallyas is as good as it gets and will look impressive on any type of WordPress website. 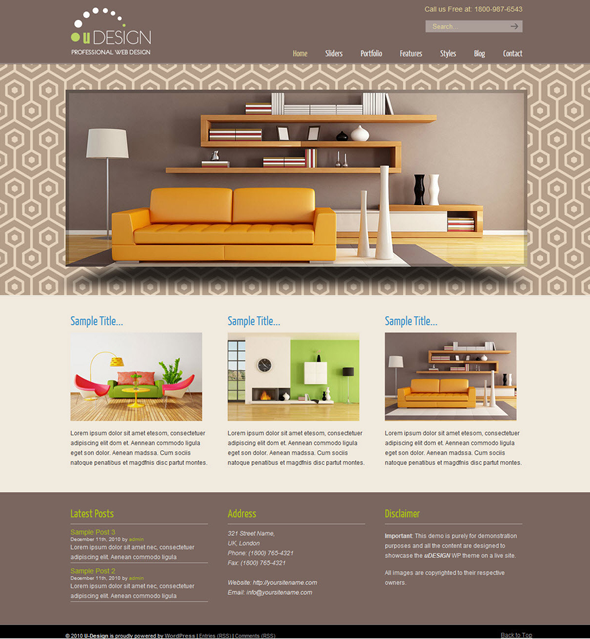 If you’re looking for a WordPress theme that does it all, look no further than U-Design. The number one selling theme of all time on ThemeForest is used by over 24,000 websites – that tells you it must be doing something right! When it comes to a powerful performance, flexibility and usability, 24,000 people cannot be wrong; U-Design is a top quality theme. 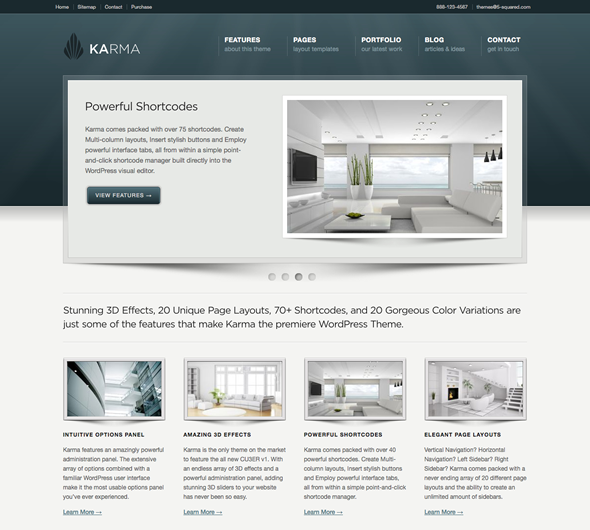 Karma is marketed as a clean and modern WordPress theme, and it really does tick all the boxes. Whether you are a WP guru or have no programming knowledge at all, Karma is easy to manage and makes setting up a highly functional website simple. If you are looking for something with a minimalistic look, Karma is a great choice and is the only theme in its class to utilize the new CU3ER v1 3D slider, giving your site outstanding usability. Karma also comes with excellent training videos and is backed by outstanding support, making it one of the top WordPress themes on the market right now. 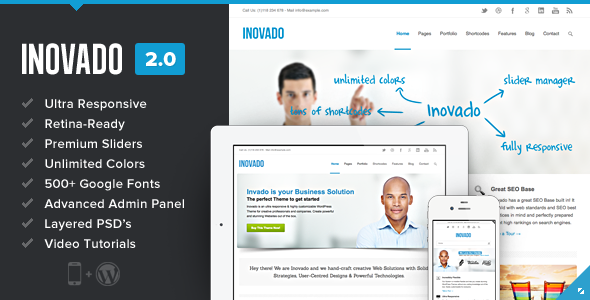 Inovado 2.0 is the updated version of the hugely popular Inovado theme and succeeds in adding to everything that is great about the original design. 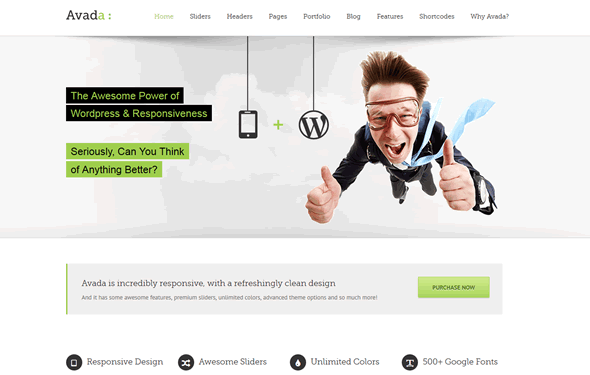 For a new and exciting WordPress theme that is cross-browser compatible, Inovado is an excellent choice, proving one of the best WP themes of 2013. 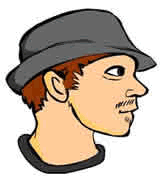 Directory Portal is a WordPress theme that is different from the norm in that it has been designed for a specific use. 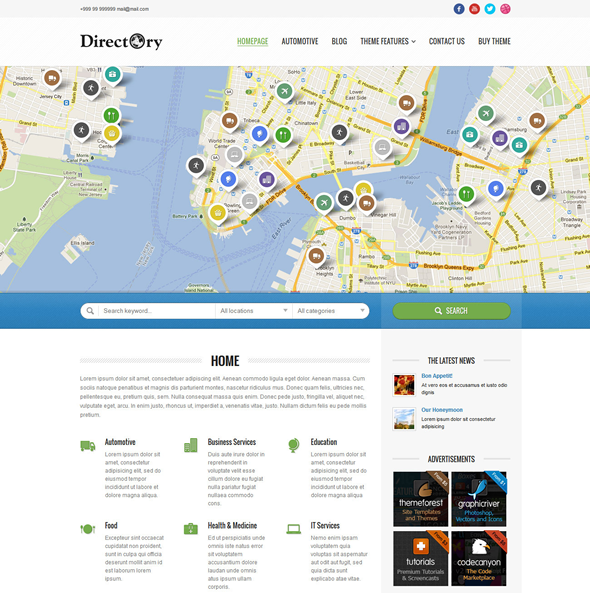 Directory Portal is a completely unique WordPress theme and, while it will not be suitable for everyone, it is an excellent option for those looking to venture into the world of online directories. 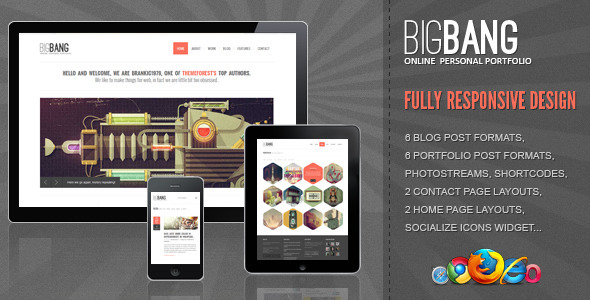 Bigbang is marketed towards those looking for an online personal portfolio; however, the features of this theme mean that it works equally well as a blog. While it does not include the necessary features or design options for an ecommerce site, Bigbang is a worthy choice of theme for the personal WordPress user. A unique multi-purpose and fully responsive WordPress theme, District has the design solutions and flexibility to work equally as well for artists, bloggers, app developers, and businesses alike. 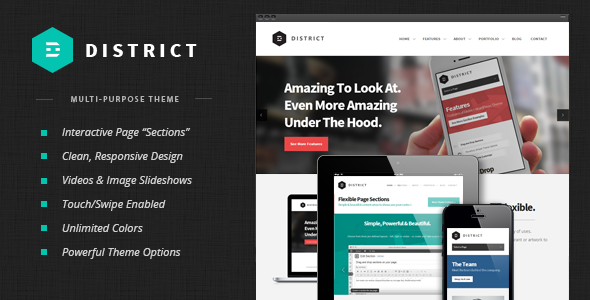 District comes with pretty much everything you need to get set up out of the box, making it a first-rate theme for WordPress enthusiasts everywhere. 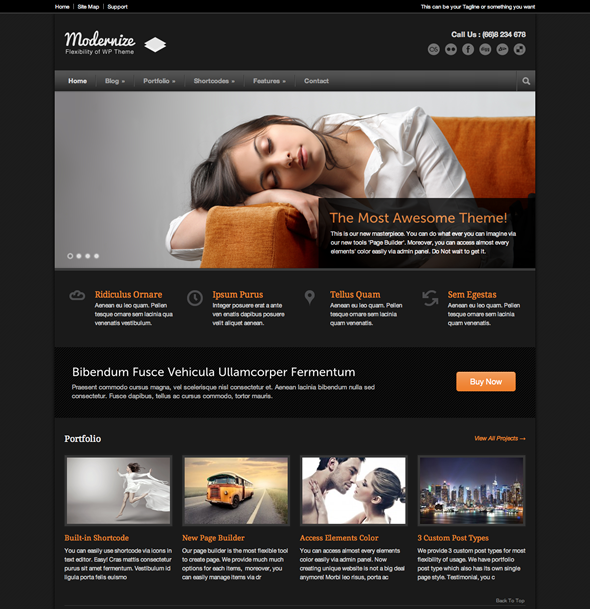 As you would expect from its name, Modernize is a modern WordPress theme that offers a vibrant yet simplistic design for blogs and ecommerce sites alike. Add these new features to the unlimited colors, hundreds of fonts and localization support, and you are looking at a mightily impressive WordPress theme for your website. 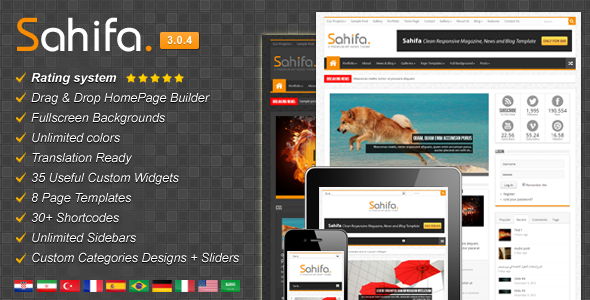 If you a run an online magazine, news site, or blog, and you are in search of in a new theme, Sahifa could be it. Simply put, Sahifa is one of the best WordPress themes available right now and is worthy of any news magazine or blog website.